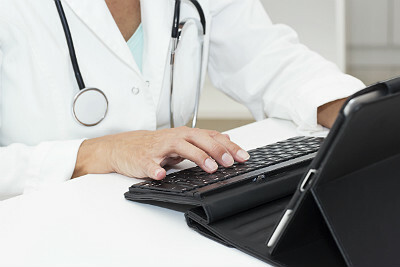 Healthcare research firm KLAS reports that healthcare providers remain strongly concerned about interoperability of technology from various vendors and "strongly encourage better coordination among vendors, timely location of patient records and greatly improved parsing capabilities as three of the most needed improvements for interoperability of electronic medical records." These findings and others are found in a new study by the firm — "Interoperability 2015: Are We Lifting Together?" — though arguments have been made that these are not new issues faced by physicians and their associates. The study highlights how provider organizations rate their electronic health record vendors in terms of how proactive and effective they are in sharing patient data outside their organization. The Orem, Utah-based research firm interviewed more than 200 healthcare providers over the course of three months for the inaugural study. KLAS scored electronic medical record vendors on a one-to-five scale based on the report's findings with study participants listing athenahealth as the easiest to connect to, followed by Cerner and Epic. Epic's Care Everywhere customers are interconnected, "enjoying the immediate benefits of exchanging patient data nationally." KLAS says other vendors with similar interconnectivity capabilities and offerings have not yet seen the widespread adoption and appreciation that Epic has. All participants identified barriers to interoperability. However, neither providers nor vendors mentioned technology as a missing ingredient, stating instead that lack of agreement on the use of standards and willingness to share information are more likely causes. According to the report, providers overwhelmingly say their vendors seem to be willing to help them share, but "business revenue models and lack of technical resources often get in the way." No respondents report a circumstance in which a vendor contractually or otherwise willingly impeded information sharing, aside from the business models around profitability. Also, 98 percent of providers are willing to share information, but only 82 percent report their main competitor to be similarly willing. "Either way, most providers are starting to see data sharing as inevitable, but resistance remains. Smaller ambulatory practices are the least likely care providers to want to share their own records," the KLAS report summary says. "Having connectivity that allows information to be exchanged easily and without disruption is vital to the patient's care," said Kent Gale, founder of KLAS. "We must enjoy that level of sharing as soon as possible. It's time to make that happen through industry collaboration around a unified goal." Providers were asked about their general perceptions of which vendors struggle the most. For example, 44 percent of providers with no or very limited Epic experience report a perception that Epic struggles the most. But contrary to this perception, Epic customers, providers connecting into Epic and even other vendors give Epic high marks for interoperability. Smaller ambulatory and single-physician practices report the highest frustration with interoperability and the lowest willingness to share their own data because of perceived risks. Finally, interoperability does not affect buying decisions related to electronic health record technology, according to the firm. "Healthcare organizations are unclear about vendor differences when it comes to external connectivity and so cannot use this as a decision criteria," the report summary says.